It is not often that you come across a beer that has loads of flavour and aroma but is below 5% ABV. 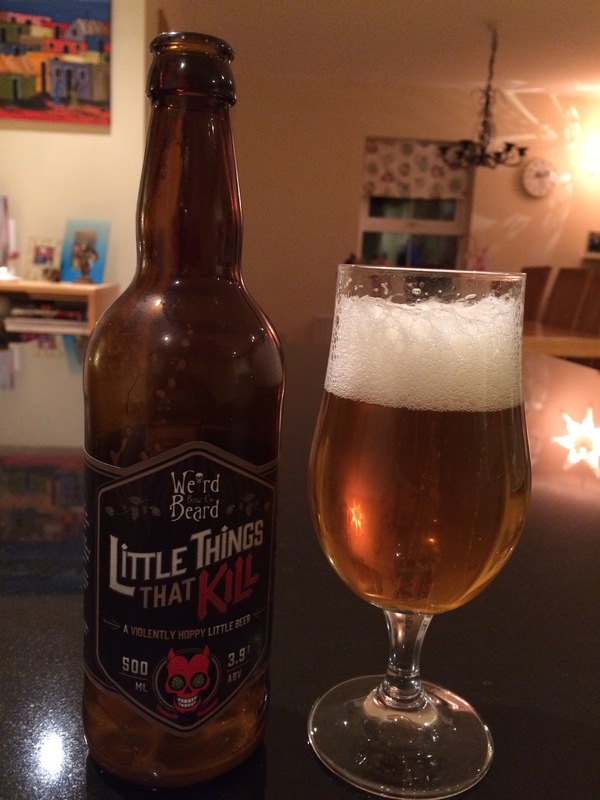 Weird Beard have managed to brew a great tasting beer that is hop forward and only 3.9% ABV. Great resin and tropical fruit aromas and flavours with the right balance of malt. It is a golden colour and has a foamy white persistent head. Medium carbonation and a lingering bitter finish.